Download our mobile app Try the Bank Midwest app for an optimized mobile experience. Download our mobile app Try the Bank Midwest app for an optimized mobile experience. Download our mobile app Try the Bank Midwest app for an optimized mobile experience. Download our mobile app Try the Bank Midwest app for an optimized mobile experience. Let's Get Started Ready to talk? 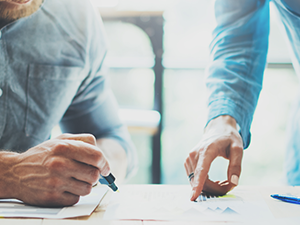 At Bank Midwest, we pride ourselves on taking the time to talk with you about your operation, so we can find better ways to manage your cash flow and capital to improve and grow your bottom line. Whether you’re looking to expand, breed livestock or purchase new or used farm vehicles, tractors and equipment, we have a loan solution with great rates and terms just for you. 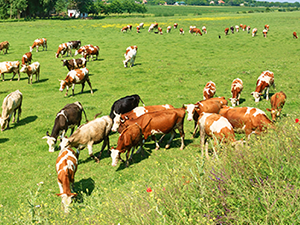 We offer flexible solutions to help you manage the cash flow for your farm or ranch. Whether you are looking to buy seed, livestock, or farm equipment, it’s possible with our Agricultural Financing Solutions. We’re with you every step of the way and we will always provide a quick turnaround on your application so you can get back to what matters most – your farm. Visit your local banking center to talk with your banker about this solution and additional benefits of establishing a relationship with us. Our Food & Agribusiness team can help your farm grow. Find the perfect business loan solution for your business. What loans are available for small businesses? Bank Midwest offers business revolving lines of credit, business term loans, business owner occupied commercial real estate loans, business ready cash reserves, or business credit cards. For more see our Lending Overview page. How do I apply for a small business loan? Visit your local banking center to talk with a banker about applying for a business loan. What information do I need to apply for a small business loan? Every business need is different, but there are some general documents you should bring when applying. What agricultural loans are available? Bank Midwest offers working capital, breeding livestock, machine & equipment farmland acquisitions, acquisition/construction of facilities, business acquisition/expansion, revolving line of credits. For more visit our Agricultural Lending page. How do I apply for an agricultural loan? Visit your local banking center to speak with a banker about applying for an agricultural loan. What information do I need to apply for an agricultural loan?